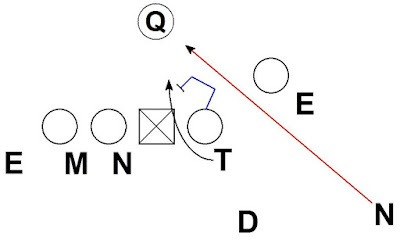 Here is an effective pressure concept Alabama used vs. LSU. 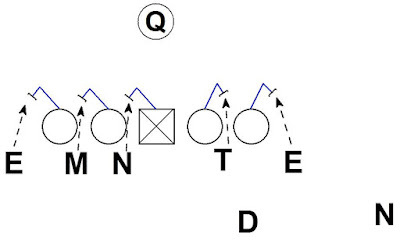 Alabama is in a 6 DB Dime personnel with 2 stand up DE's (OLB types). The initial alignment by Alabama dictates the protection. The LSU pass protection has 5 blockers for the 5 most dangerous rushers. Pre-snap the immediate gap threats represent the 5 most dangerous rushers. 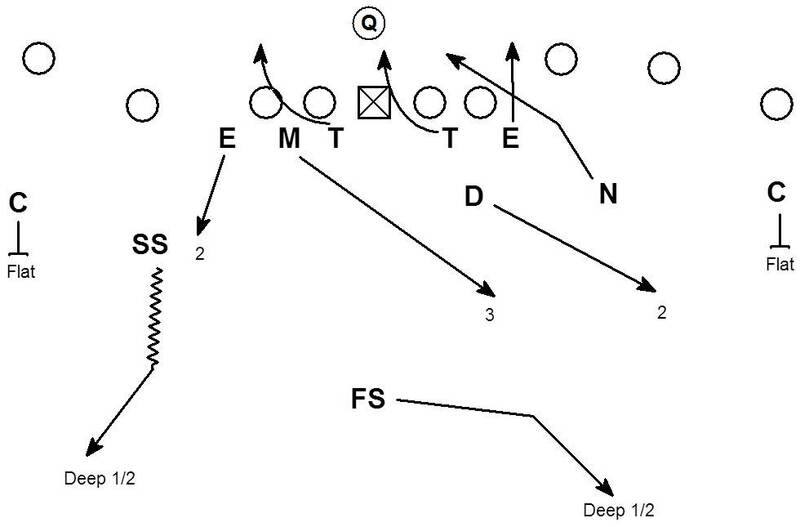 The RG is forced into being manned up on the DT and blocking him on the inside move. 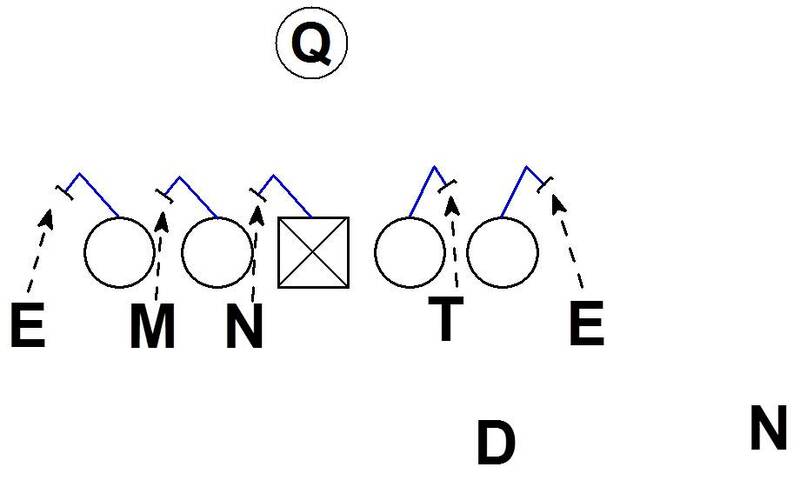 The RG doesn't know the Center, LG, LT will be freed when the Mike and DE drop into coverage. 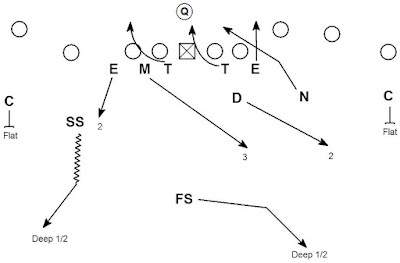 The deep pass set of the RT against the speed rushing DE creates the clean B gap run for the Nickel. 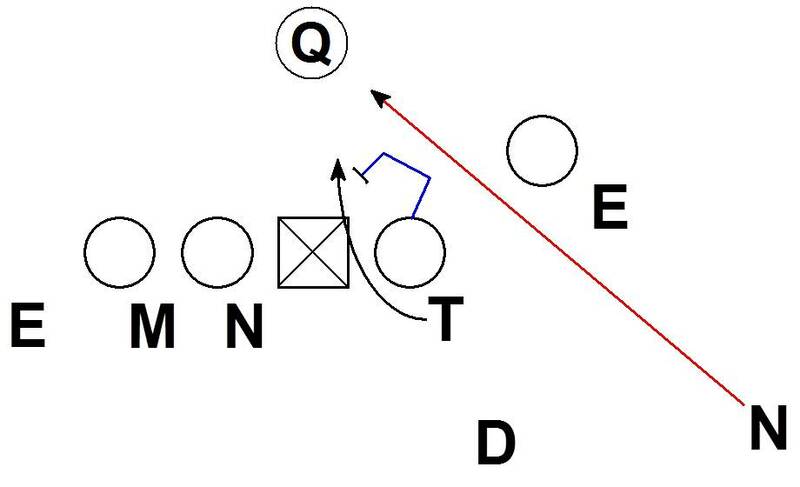 By the time the OL could process what is happening the Nickel is in the face of the QB. Wowwww!On a roll (pardon the pun) putting out the great posts!